Each year Oxford Playhouse’s EVOLVE Artists in Residence scheme supports three emerging or mid-career artists/companies by providing seed funding for projects, research and development, rehearsal space as well as mentoring and advice from the Playhouse team. Kuumba Nia Arts are one of the scheme’s artists for 2019. 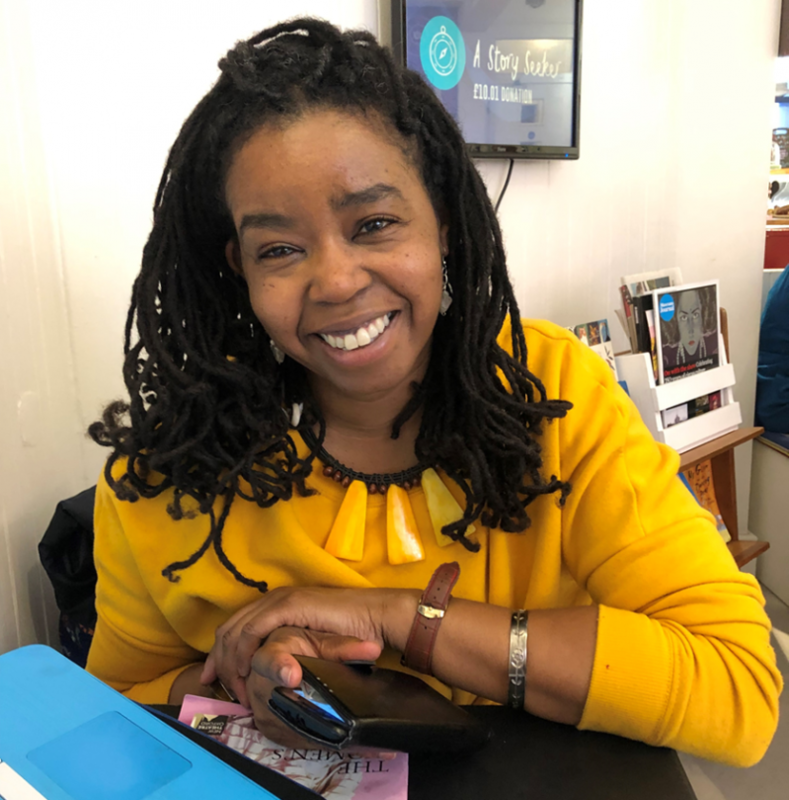 Since launching ten years ago, the company’s been combining three of Amantha Edmead’s passions – acting, Black/African/Caribbean history and holistic work. 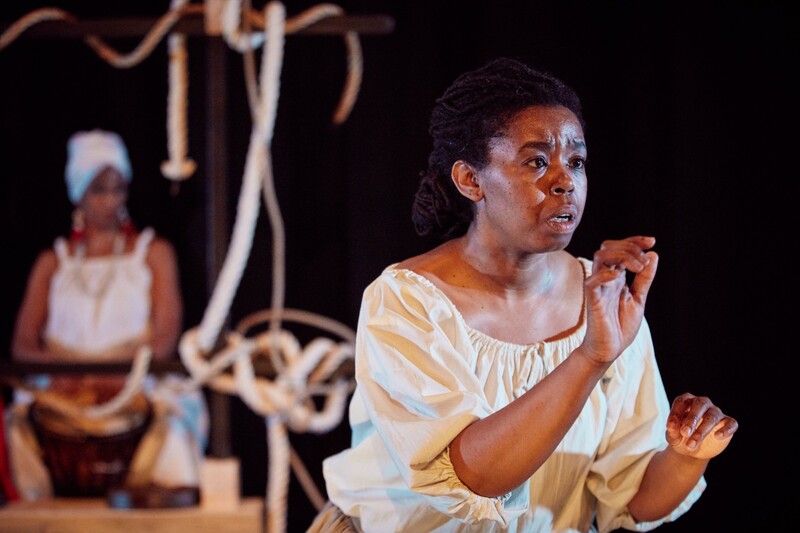 In March they brought Sold to the Old Fire Station, putting on stage the first narrative of an enslaved female published in Britain. The show will run again in Oxford in June, as part of the North Wall’s Propeller Scheme. We met Amantha at the Story Museum to talk Pegasus, parents and painful narratives. Pegasus Theatre was one of the vehicles though which you developed your talent for acting, growing up in east Oxford – how integral was that organisation? I couldn’t join Pegasus until I was 13. But there were lots of cultural things happening in Oxford back in the 80s; there was a Martin Luther King Day celebration and I remember doing a play with Pegasus when I was still 12 – we rehearsed over weekends and performed at the celebration. I joined later that year. I loved it. 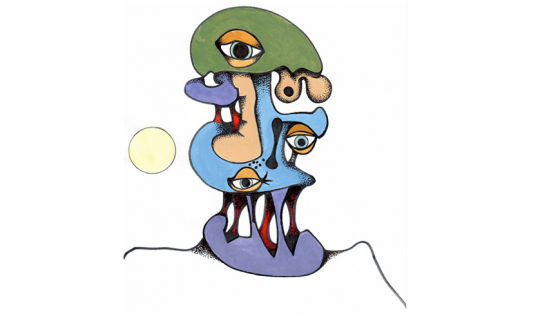 Pegasus – and that part of east Oxford – was very left-of-centre, and you experienced artists who were mainstream but had very clear ideas about wanting to change the world and what art could be. Pegasus was key; it was very much about theatre for change, to improve people’s lives, and not just as entertainment. Which other places nourished your love of acting? I was brought up in Methodism and Cowley Road Methodist Church used to run youth services where we recited poetry and things like that. And I did almost every single drama thing I could in school. They were in the sense that I couldn’t have done it without them saying yes. My parents came here in the early 60s and the whole idea was education, education, education; with that you can be established, independent, you can go anywhere in the world because people can’t take away your education. Mum was always very keen because in her Caribbean experience things like poetry, reciting and plays were seen as cultured and accepted. My dad was like, ‘I don’t know what you’re doing this for, you’ve got a brain, there are other things you could do.’ But I can remember a really lovely moment with him when I was home from drama school. We were watching some TV musical and he said, ‘You really love this, don’t you?’ I said, ‘Yeah, yeah, this film’s great.’ And he looked at me and said. ‘No. You love this.’ They’re very supportive now. 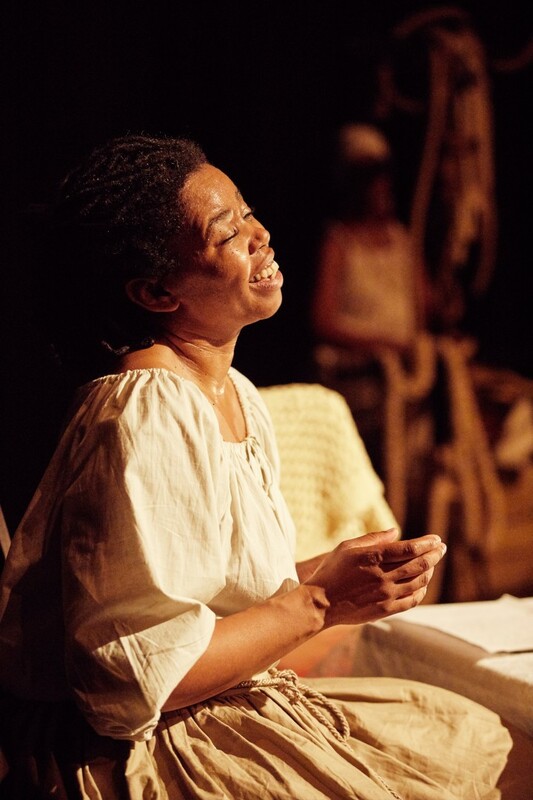 Kuumba Nia Arts have been playing SOLD, the story of Mary Prince, this year – how’s it gone so far? It’s a difficult story because we’re talking about enslavement, there’s a narrative of pain that goes through that. But it’s been really well received, people seemed moved and touched by the content of the piece and excited by the form – we’re playing with what’s often called Black African theatre, where it’s not just a set three-act play, fusing storytelling, straight drama, song, dance, poetry and music. Are there Mary Prince stories happening in 2019? Chattel slavery, thank God, no. But people not having freedom, not having choice, being in modern day slavery, feeling that their lives are not their own, is sadly still very resonant. I watched a play called Bound by Justice in Motion, and in the talk afterwards it was said that modern day slavery is the second biggest global crime after drugs. Playing Mary Prince, how were you able to tap into her experience? Her narrative is powerful. She writes very clearly about whippings, punishments, wanting to die, and witnessing heavily pregnant women being beaten until they passed out, and giving birth to dead children. I don’t think, regardless of whether you’re an actor or not, that you can read that and not be shocked, horrified, and start to imagine part of what that would be like. I come from survivors of the Caribbean, of enslavement, and Mary Prince ended up in Antigua, where one of my grandfathers is from, so there is also that personal link to it. Kuumba Nia Arts got accepted onto the Oxford Playhouse EVOLVE programme the first time you applied – that’s amazing. It’s amazing – they don’t draw you out of a hat.